Get guidance on federal income tax requirements for estimated taxes to accurately pay what you owe. Many people experience career changes and significant income swings. Often, this meant facing unfamiliar federal income tax requirements, like estimated taxes, which can confuse the newly self-employed. Here are a few tips to help taxpayers avoid mistakes that result in penalties and interest. 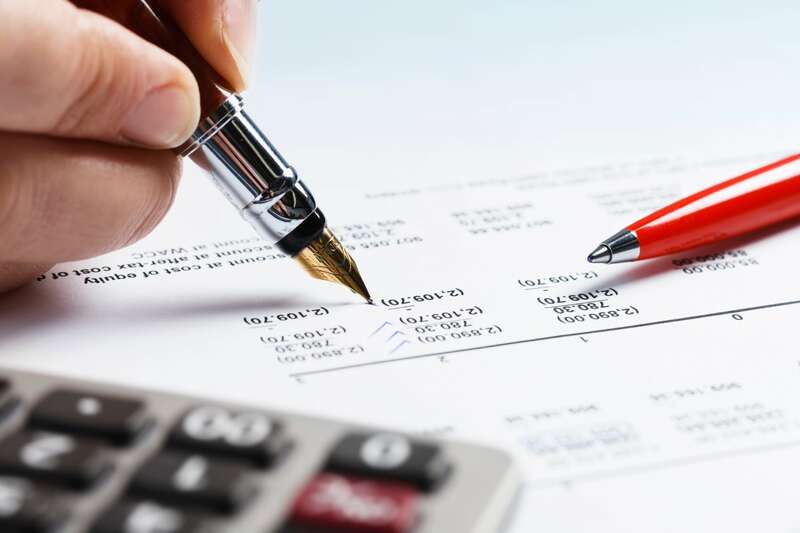 Generally speaking, anyone who owes more than $1,000 in a given tax year, after subtracting withholding and refundable credits, is required to pay quarterly estimated taxes. Traditionally this applied to high income taxpayers because of revenues from sources such as interest, dividends or rent. Salaried individuals and those paid hourly wages typically do not pay estimated taxes. Their federal income taxes are withheld from their wages throughout the year by their employers. Self-employed individuals, however, are solely responsible for ensuring that their federal income taxes are paid at the right time. The IRS requires that individuals estimate what their total income tax for the year will be and divide it into four equal installments. The installments must be paid on: April 15, June 15, Sept. 15 and Jan. 15, unless the 15th falls on a weekend or federal holiday, in which case the due date becomes the first business day following the 15th. To avoid penalties, the payment—by check or money order accompanied by the correct IRS voucher—must be postmarked by the due date. Or, online payments can be made without a voucher. For example, if you miss it by one day, you'll get a penalty. If you’re out of the country and your flight gets delayed a day ... and you miss the deadline, you get penalized. When attempting to estimate your income tax for the year ahead, you are predicting the future. If you underestimate, you may be penalized for the number of days it remains unpaid. The simple way to ensure that you pay what you owe is to pay at least 100 percent of the tax you paid the previous year, unless you have some indication you are going to earn significantly less. If you think you are going to make less, calculate about how much and try to pay 90 percent. If you pay 90 percent, and still owe a little more at the end of the year, that’s OK. If you are married, filing jointly and your adjusted gross income is below $150,000, you may make a payment equal to 100% of what you paid in income taxes the previous year or 90% of the tax you estimate for the current year. Taxpayers whose adjusted gross income is $150,000 or more must make a payment equal to 110% of the previous year’s taxes or 90% of the tax for the current year. In either case, you will still owe taxes at the end of the year, but you will not face penalties and interest. The IRS provides a worksheet for Form 1040 ES. It instructs taxpayers how to estimate their taxes. The potential penalties and interest of missed payments can be bad, but they are nothing compared to not preparing for a tax bill at the end of the year. Recalculate the estimated taxes at mid-year to see where you are. Whatever amount you estimate you will owe for the year, you should pay it early in the year and get it out of the way. Consider 25% for the mid-April payment and 50% for the mid-June payment in order to have a large chunk of debt taken care of in advance, or ahead of a downturn in business. If you need to, you can do the end-of-year push and pull, such as purchasing business equipment or delaying billing until the new year. Delay of out-of-pocket costs and, if in enrolled in such a program, accumulation of miles, points, rewards or money back from the credit card issuer. The IRS uses commercial service providers to accept card payments. According to the IRS, neither it nor these providers store card numbers. Providers typically charge a convenience fee, which appears on the card statement as a "Tax Payment Convenience Fee." Taxpayers may also opt to use the Electronic Federal Tax Payment System, which will draft funds from a prearranged account following a phone call or an Internet request.